Nowadays, China is mostly in the news for imposing high tariffs on imports while mongering with the leading economies to open up their markets for Chinese goods. In the same vein, the Middle Kingdom is extremely restrictive when it comes to allowing frontline alcoholic beverages companies to peddle their products in the country. However, spirit buffs and enthusiasts visiting China will not be left high and dry as the domestic markets are sated with locally produced liquors and drinks. Liquor aficionados might be familiar with Baiiju, the most popular firewater in China. Baiju, which is the generic term for Chinese liquor, is mainly distilled from sorghum, and has unusually high alcohol content (40%-60% v/v). Since China is the most populous nation on earth, it is no wonder that Baijiu is the world’s bestselling spirit. 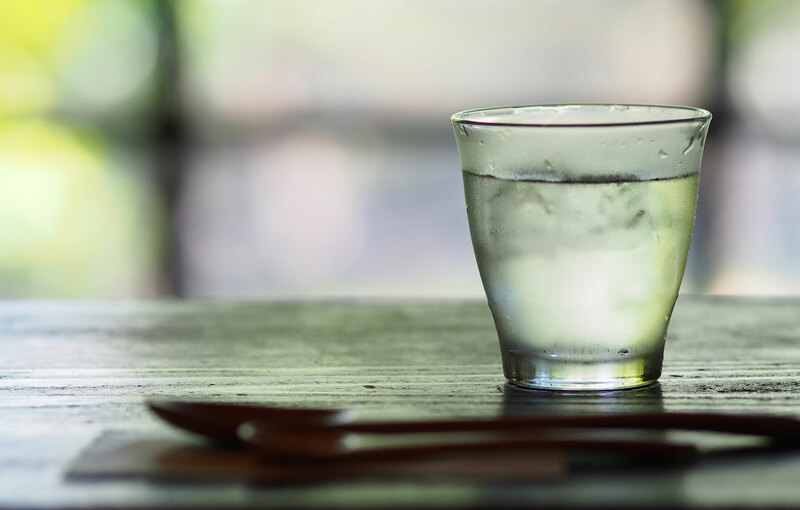 There are numerous varieties of baiju available throughout the country, and classified according to aroma and alcoholic strength. Nevertheless, some popular baijiu brands served extensively at social events, wedding receptions, get-togethers, reunions, and business meets include Maotai, Gujing gong jiu, Wuliangye, and Luzhou Laojiao. In the ensuing paragraphs, we’ve reviewed the top 10 liquor brands in China with regards to overall sales. Maotai is China’s most celebrated baijiu brand and at approximately 300 RMB (about US$ 50) per bottle, is a cut above the rest. Brewed in a town with the same name in Guizhou province, Maotai has been designated as the nation’s ‘National Liquor’. The government-owned Kweichow Maotai Company distills the spirit from a local cereal known as ‘red sorghum’. This sophisticated and premium baijiu is the preferred alcoholic beverage at state banquets. The baijiu fermented by Kweichow Moutai Company in the town of Maotai is regarded as original, just like the champagne. The distillery exclusively uses fine, uniform, chubby, and hard red sorghum grains for distilling Maotai. Natural yeasts are used for fermenting the grains and the blend is refined up to seven times yearly. Different batches of the highly distilled spirit stored in distinct earthenware containers, sits in the jars for 3-4 years following which the liquor is blended with distillates. Pouring the Maotai in a tulip-styled glass makes its pale yellow-to-emerald green hue apparent. Initially, the nose has a pronounced whiff of soy sauce and gradually the palate picks up subtle notes of grains, plants, fruits, yeast, and floral. 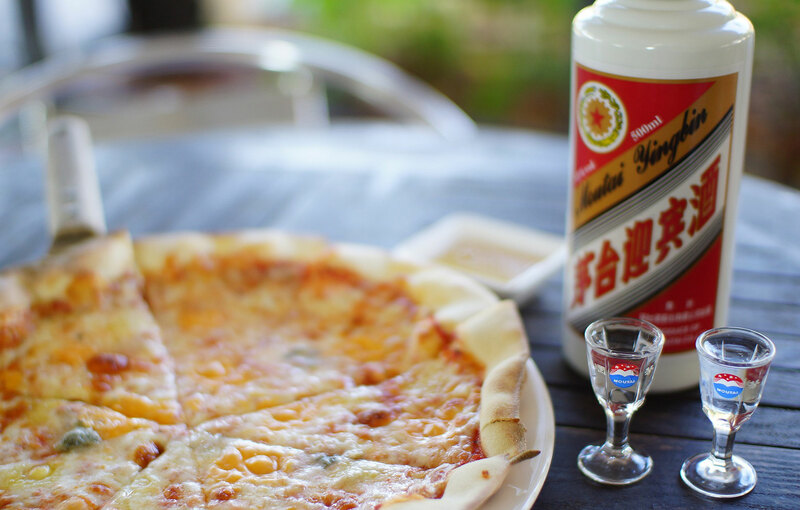 Pairing Maotai with caviar, Japanese sashimi and sushi brings out its myriad of flavors. The Luzhou Laojiao Co Ltd. which produces the ‘Luzhou lao Jiao’-one of China’s well-known liquors, has been brewing spirits since 1573. Fermented from sorghum and thereafter meticulously distilled, Luzhou laojiao has an ABV of 52% which makes it remarkably robust. The spirit feels somewhat sweet on the palate with undertones of pear and ripened peach. Luzhou’s full bodied flavors that harmoniously blend notes of toasted rice, fermented peaches, and peppers come from its unique brewing technique. Water from the Yangtze River and the red sorghum thriving in clay-rich soil impart to the spirit its exclusive flavors. Wuliangye is another highly sought-after Chinese spirit that can give the Maotai a run for its money. Besides Maotai, Wuliangye is one baijiu variety that occupies a pride of place in China, being served in festive occasions, business dinners, and important events. Five select grains including corn, wheat, glutinous rice, rice, and sorghum go into preparing the brew. The conventional fermentation techniques used for producing Wuliangye transfer to the spirit its optimal flavors, mellowed essence, and lingering aromas. On sipping this spirit, you clearly distinguish notes of licorice, pineapple, and luscious fruits, layered with peppery and spicy notes. Brewed exclusively by Wuliangye Yibin, the Wuliangye till date has bagged 39 gold prizes globally. Jiannachun has a brewing history that dates back to more than 1,200 years and was Tang Dynasty’s liquor of choice. The cellar vats built by the distillery three centuries back continue to brew Jiannachun in extremely limited quantity. Owing to the extremely protracted and complicated fermentation process, only a specific amount of this baijiu is produced annually. The spirit flavors tend to be a fine blend of floral, fruitiness, and understated sweetness with a refreshing finish on the palate. The Jiannachun continues to be regarded as one of the most venerated baijius in China. Gujing gong jiu is prepared from a combination of grains and cereals like corn, glutinous rice, rice, wheat, and sorghum. The water used in the artisanal brewing procedure is sourced from a well that is nearly 1000-year old. First brewed in Bozhou in Anhui Province in 196 A.D. it exudes essences of the grains from which it is fermented characterized by a lingering pleasing aftertaste. Arguably one of the oldest liquors to be produced in the Middle Kingdom, Xifengjiu is fermented from pea-flavored baijiu and barley. Xifengjiu is believed to have been first brewed about 2200 years ago during when the Qin Dynasty ruled over China. The liquor derives its name from the Fengxiang County in Shaanxi province where it is prepared. Xifengjiu is matured in barrels for nothing less than 3 years before it is blended and bottled. The finish on the palate is somewhat sweetly earthy with notes of wet grass and green apples tart. The Yanghe Daqu, originally produced in Yanghe Town under Jiangsu Province, is available in three different flavors-55, 61, and 64 degrees. The numerical value pertaining to the variety indicates the alcoholic strength of the spirit. Tang and Sui dynasties created the original recipe of Yanghe Daqu but the spirit became highly refined during the reigns of Qing and Ming dynasties. The liquor appears transparent and lucid, has a rejuvenating flavor, tastes sweet and smooth. Lang jiu is the flagship product of the Langjiu Group, produced from high-quality grains and water sourced from Langquan Spring near Erlang Town. The liquor has a discerning soy sauce taste which is pure and full-bodied and the aftertaste is robustly sweet. The earliest precursor of Lang jiu was brewed in 135 B.C. in Erlang. Fenjiu is one of the most revered Chinese liquors that can boast of 6,000 and 1,500 years of brewing and distilling history respectively. This liquor brand has also won several international awards and felicitations, including the gold medal at the 1916 Panama International Exhibition. The sweet, soft, and smooth taste of Fenjiu is mostly due to the water that comes from wells in Shaanxi Province. Shuanggou Daqu, brewed by Shuangou Distillery is available in two distinct alcoholic strengths-42% ABV and 53% ABV. The liquor has a good following not only in China but internationally as well because of its good balance of flavors and strong aromas.